With its neutral hues and earthen tones this stationary handcrafted bar stool has a warm look and can be easily combined with your existing furniture. 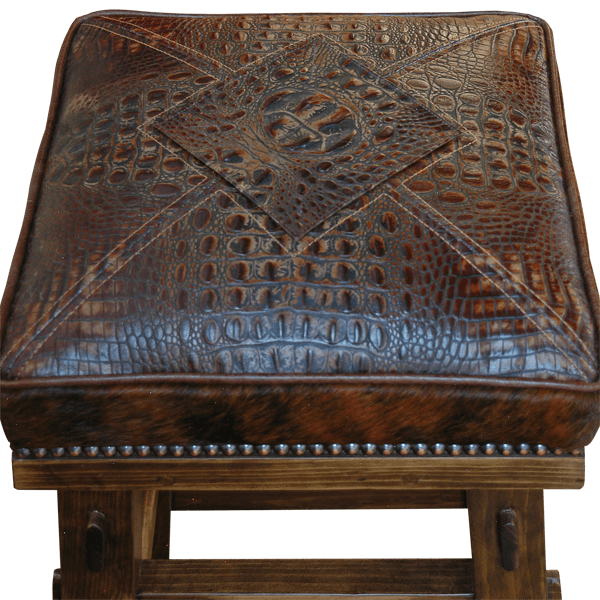 The seat of the bar stool is upholstered in various patterns of beautiful, brown, embossed full grain leather. The different patterns of full grain leather are double stitched together for extra strength and durable. The upholstery is also hand tacked with precision to the entire wood base by our skilled craftsmen. The bar stool has beautifully finished splayed wood legs joined by crossbars positioned at different levels. 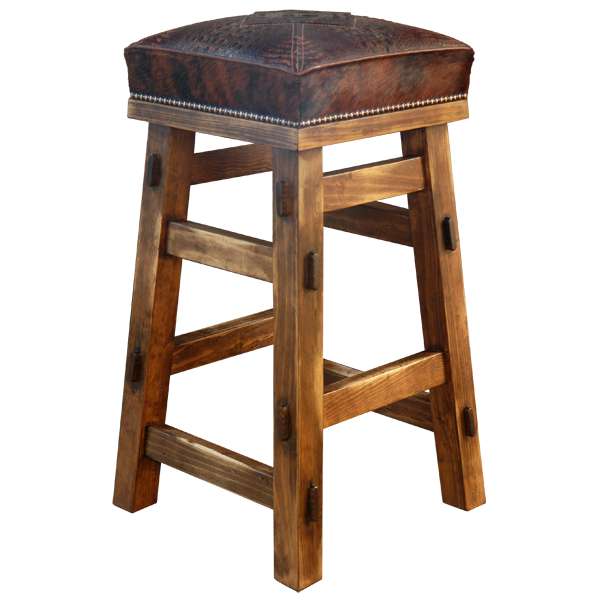 Durable and comfortable, the bar stool is made with the best wood available. It is 100% customizable.